In moments of desolation, persevere … In moments of temptation, look toward the Lord. The Pope gave a “recipe” against desolation. Remember the “happy days of meeting the Lord … the time of love.” Hope, Francis urged, in the promise, without “going back.” This calls for, he said, “resisting in bad times,”a resistance made possible through memory and hope, a resistance with heart. 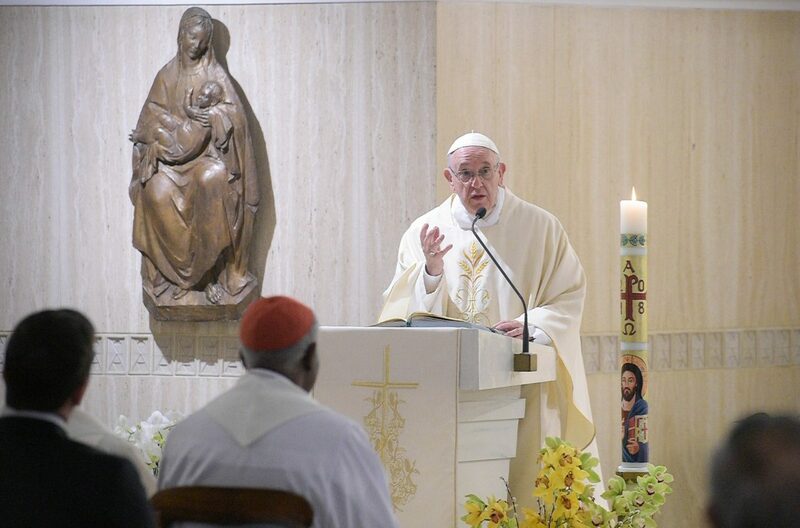 Referring to his trip to Lithuania in September 2018, when he visited the Baltic Countries, Francis confided his emotion to the many martyrs who “persevered in faith”.